AHFA finalist 2015-Shelley Spence Wella Trendvision national and regional finalists 2014 Best known for our awards for wella trendvision- Australian hair fashion awards finalist director Shelley Spence 2013 Australian hair fashion awards finalist Shelley Spence 2011 Australian hair fashion awards finalist Shelley Spence 2009 Australian hair fashion awards finalist Shelley Spence 2008 Trend vision Bronze award 2011 Trend vision Finalist 2010 We have earned excellence in our cuts and colours as all staff train to specialize in their specified area. New collections and images are worked on every year so staff have the best training & many are original staff from 2008 from when Toni & Guy Cottesloe first opened.International directors available with 2 newcomers who are rising stars that have just come back from 2 months at the Academy in Sydney. 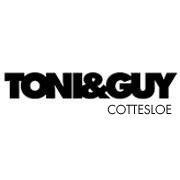 Opened in 2008 cottesloe is a franchise but individually owned. We have 38 salons nationwide and over 500 worldwide. The directors regularly travel to London for the new collection launches & participate in the Sydney and Perth expo shows backstage. Varying levels of cuts. stylist from $90 Style director $113 Art director $120 Amazing blow dries from $56 Our head technician has had 13 years experience with the company. Expert in classic colour root fading Dip dyeing or colour change. Uk colour expert also available.